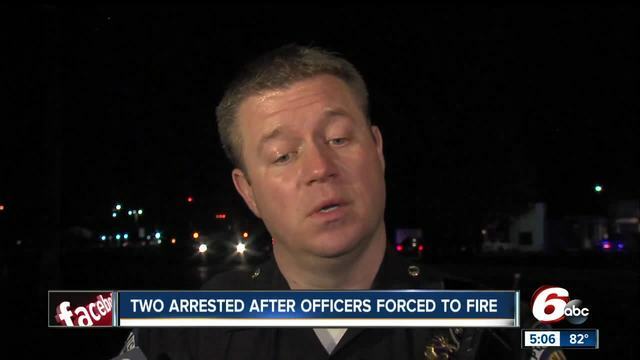 INDIANAPOLIS -- Two people were taken into custody Wednesday morning after an Indianapolis police officer fired shots at one of them on the city's southeast side. The incident started at 1:37 a.m., in the 3500 block of E. Raymond Street. An Indianapolis Metropolitan Police Department officer was called to the area to check out a suspicious person hanging around a Family Dollar. The 911 caller said the suspicious person may be wanted on a warrant. When an officer arrived, they found the man, later identified as Maurice Dunlap, 39, but he ran in between buildings. As the officer was chasing him, he heard another man coming up behind him, holding a handgun, police say. The officer pulled out his weapon and told the man to drop his gun. 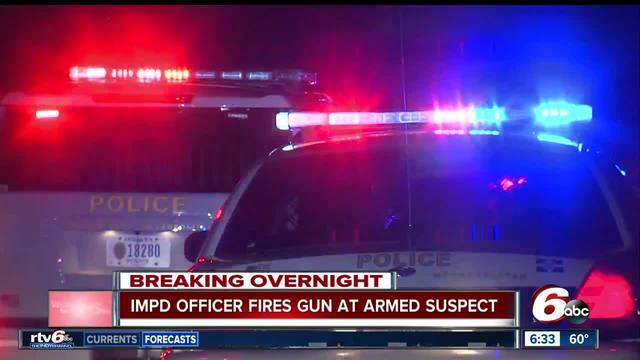 He refused to do so, and the officer fired multiple rounds at the man, an IMPD spokesperson said. The officer didn't hit the man. Seven minutes after the shots were fired, the second man, Christopher Depriest, 29, was taken into custody. A few hours later, Dunlap was found and apprehended.